When it comes to singer-songwriters at the moment, there seems to be a metric tonne of them making their way through the ranks and truly showing how special a guitar, a talented voice and inventive song writing can be. Justin Currie is no exception to this trend; his voice is as smooth as anything, his song writing is flawless, and he seems delightfully fresh. 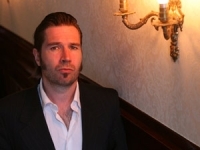 Only thing is, Justin Currie has been doing this since the 1980's with his band 'Del Amitri', and it goes to show that experience is something that is vital when it comes to writing music. His latest single 'Bend To My Will' is one of the easiest songs to listen to that I have heard in a very long time. Back in 2009 a wonderfully joyful pop song appeared called 'Sweet About Me', featuring a sixteen-year-old girl named Gabriella Cilmi. An instantly popular hit and feel-good tune, the track has, over time, racked up an impressive twenty-three million YouTube views and counting. Four years later and she is back! Slightly older and with slightly shorter hair, but possessing a much more developed and mature sound, that is sure to enable her to stake her claim in the music industry once more. I went to Glastonbury and I know you're all jealous - Thank you Michael Eavis! On the 26th June 2013, Michael Eavis was kind enough to let 130,000 drunk people have a big party in his back garden. I was fortunate enough to attend said party, more affectionately known as Glastonbury and needless to say it didn’t disappoint. In fact I couldn’t of had a better time if I won the 84 million pound roll over, bought several small islands in the Philippines and drank 40 magnums of Moet Champagne. 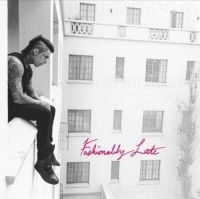 Since 'Fashionably Late' came out I have listened to it a few times and each and every time I listen to it I go through an emotional roller coaster, the likes of which I have never been through when listening to a new album. You may be asking: 'My God, is this album full of love ballads and deep thinking songs that question the meaning of life?' to which I would quite simply laugh in your face. All you need to do is give one quick glance at the lyrics that front man and former 'Escape The Fate' man Ronnie Radke has plucked out of thin air to show you exactly what I mean - my personal favourite being: 'A lil' bit of dirt mixed with the mud, a lil' bit of rock mixed with a thug.' (An honourable mention must go to the line 'I got that white boy swagger') To put it simply, this album is mental. When I first got wind that Black Sabbath were back in the studio for the first time since 1995 I was sceptical of how much of a success it would be. 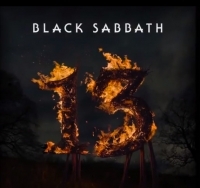 '13' is the bands 19th studio album and I was concerned that the band would just wither away and release an album that was below the standard of the stuff they have done in the past. Now coming from a guy who doesn't like to be wrong that often, I will quite happily hold my hands up and say that I was SO wrong to worry about the British icons come back, for '13' is to an equally fantastic level as the 18 albums that came before it. 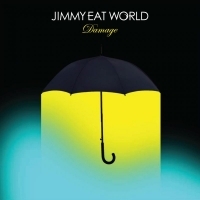 Damage is the eighth studio album by alternative rock four piece, Jimmy Eat World, a band who most probably held an existence in the soundtrack to much of your youth. It's been almost twenty years since the release of their self-titled début album and impressively they still have something to offer. Now I know you are probably asking yourself: 'who are Dulcie May And The Mystery Cats?!' and don't worry, up until a few weeks ago I had no idea who they were myself. 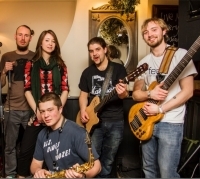 However, two weeks later and this band, based in the South East of England, have become one of the most adored local talents. The Garden of England has been keeping this little beauty of a band hidden for months now, and I will do all I can to get them some publicity, as I guarantee you that the sound this band makes is something quite unlike anything you have ever heard.